Political party representatives at a New Nation Movement briefing in Parliament on Wednesday regarding a court bid to reform the Electoral Act. The New Nation Movement (NNM) — a non-partisan nation-building movement that wants political power to be transferred from parties to people — met with 12 small political parties in parliament on Wednesday ahead of its March 7 date in the Western Cape High Court where it is challenging the government to address a tension between the Constitution and the Electoral Act. Bulelani Mkohliswa of the NNM told Gateway News last night that its High Court affidavit will be updated to include recommendations from Wednesday’s meeting at which the 12 parties agreed unanimously on the need for the electoral system to be changed to accommodate more direct representation. He said Wednesday’s meeting was arranged at the request of the Minister of Home Affairs, one of the respondents in the NNM’s electoral reform application, who told them they should first engage with smaller political parties who might be directly impacted by decisions arising from the case. “We sent out about 250 invitations to smaller parties. Not all of them could make it — some could not afford to travel to the meeting — but at least we had 12 parties, and in the room there were about 25 people — and we had a wonderful time,” said Mkohliswa. 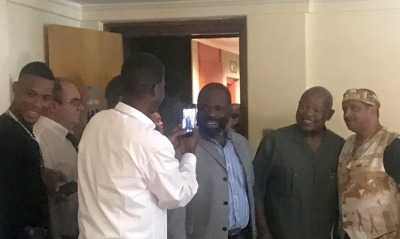 He said that Cope leader Mosiuoa Lekota, who has tabled a bill in Parliament for the right of independent candidates to stand for public office, and Cope MP Willy Madisha also attended the meeting and “gave valuable input”. Both the NNM and Cope believe that a Constitutional Court ruling last June may have opened the door for independents to run for office in provincial and national elections — something which they believe that Chief Justice Mogoeng Mogoeng affirmed in his comments regarding political choice rights of individuals, as outlined in Section 19 of the Constitution. Mkohliswa said one of the most interesting things that came out of the discussion at Wednesday’s meeting related to the history of the Electoral Act. They learned that a proportional-based system was adopted in 1994 in fairness to black communities who might have been prejudiced in a constituency-based system because many of their leaders, who had been on Robben Island, were unknown to voters. 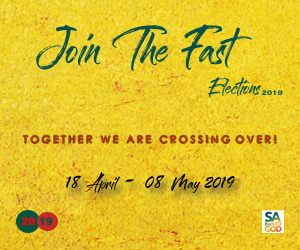 He said former President Nelson Mandela had asked a politician and political analyst Frederik van Zyl Slabbert to start working on electoral reform recommendations, as the 1994 model was only intended for five years. But the system was extended for another five years because more time was needed to come up with recommendations. Eventually Van Zyl Slabbert recommended a parliamentary electoral system with 300 independent candidates from constituencies and 100 from political parties. But by then, Lekota told them, the ANC realised that, if implemented, the electoral reform recommendations would reduce its grip on power, as people would be able to choose their own parliamentary representatives. He said the court should address timelines for electoral change to ensure that the matter was resolved by the 2024 elections, allowing independent candidates to stand for office. Meanwhile, Dr Mike Louis, who drafted Cope’s bill on electoral reform, and who has been campaigning for nearly two years — including through the Constitutional Court and High Court — for the right of independents to contest the elections, said on air this week that his goal was to attract new, talented public office candidates who don’t want to work through political parties. Louis, a founding member of the ACDP and an ex-MEC in the Western Cape provincial legislature, was speaking in a Watchmen on the Wall interview with Errol Naidoo on Faith TV on Tuesday. He said bringing the Electoral Act in line with the Constitution would be a “game changer” for the nation because MPs would become accountable to the electorate and not to party bosses. It would mean that party MPs elected directly from constituencies would have to call public meetings to hear voters views on contentious issues, such as land, and not take instructions from the party, as is the case presently. Asked whether the law could be changed before the May general elections, Louis said the bill would be addressed by Parliament in the current session and he hoped it would be passed before the elections. He added that, in court papers, he has warned the IEC that if the elections go ahead without a change to the Act, they may face a constitutional challenge that the elections were unconstitutional. He believed that since the rights for independents to stand are in the Constitution, parties that opposed changing the law to line up with the Constitution would be taking a risk. He said ACDP leader, Rev Kenneth Meshoe, had immediately supported the proposed reforms when he briefed him on developments. He said UDM leader Bantu Holomisa would support the reforms and he noted that DA leader, Mmusi Maimane, had told the Cape Town Press Club on Monday that the DA would change the Electoral Act if it was in power. I think this bills sounds good in theory, but the time frame for this change is too small. It would also not be fair towards all other political parties who had to do all they had to do to in registering, policy making, and campaigning. Why would an independent candidate be able to stand, when the same values the candidate wants to stand for, already exists in another political party. This candidate like another political part leader would then also have to register his own party or join an existing party. ACDP and ACO exists although they might be different in approach and policies, yet had to legally register and campaign for the 2019 elections. ACO- African Covenant is a NEW God-fearing political party lead by a dynamic man and leader – Dr Convy Baloyi, that is ready to contest on all levels in the country and has fresh approach that is solution oriented and to the advantage of every South Africa citizen. Grace and Hope to South Africa. Yes, I support this goal inprinciple.But sadly the time-frame seems too small for full implementation fore 8th May. The immediate action we can take is to support a Party that embraces these changes.